HE LIVES TO KILL THE DEAD. 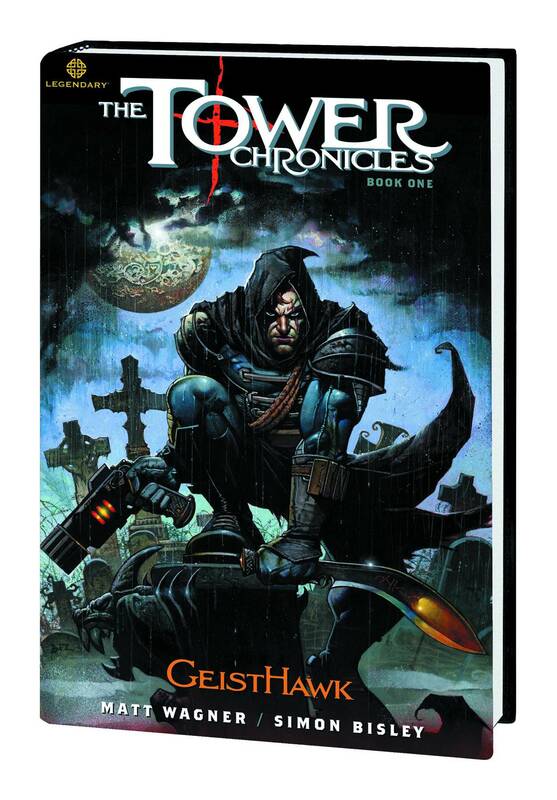 Written by Matt Wagner, award-winning creator of Grendel and Mage, and co-created with Thomas Tull, executive producer of 300 and The Dark Knight, this hardcover edition collects The Tower Chronicles: GeistHawk, Volumes 1-4, an epic which tells the first compelling tale of John Tower, a supernatural bounty hunter who tracks and destroys the uncanny evils that haunt our world. His harrowing missions lead him across the globe and into the darkest recesses of mankind's most dangerous places to banish a wide variety of poltergeists, demons, and other unfathomable evils to free his troubled patrons from their tormentors' ethereal grasp. Stalked by sultry sirens who want to devour his very life, hunted a by rival mercenary organization, and set-up by sinister corporations, Tower faces more threats than ever before. Meanwhile, his unofficial "partner," FBI agent Alicia Hardwicke, begins to uncover pieces of Tower's shadowy past, bringing up the question: What secrets can a man who hunts monsters possibly have that are even more chilling than his prey? Will our hero reach his mysterious goals...or will Tower die trying? Illustrated by acclaimed 2000 AD and Lobo artist Simon Bisley.